Hello. Thank you for visiting my site. I named this website Imagining Forgiveness because I embrace the notion that forgiveness is crucial for our future together on this planet and because I have made the study and practice of forgiveness part of my life’s work. I would like to tell you a bit about myself. I am currently a core faculty member and the Chair of the Integrative Therapy and Healing Practices Program at Pacifica Graduate Institute. It is one of the Depth Psychology specialization programs. Previously, I served as Director of Clinical Training for the Doctoral Program in Clinical Psychology at Pacifica Graduate Institute (www.pacifica.edu). 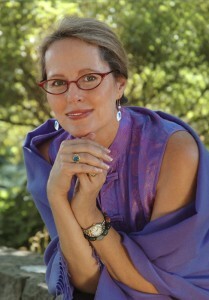 You may read more details about this program at https://www.pacifica.edu/degree-program/integrative-therapy-healing-practices/ I am very excited to be entering into a leadership position in this exciting, cutting edge program that blends the traditional wisdom of depth psychology with exploration into how multidisciplinary and expanded frameworks may offer a beautiful synchrony of present day understanding in regard to the individual and collective psyche in human and non-human contexts. You may reach me for any questions about this program at my Pacifica office at (805) 679-6139 or my email address at Pacifica, which is jrohdebrown@pacifica.edu. I also spent some years at Antioch University, Santa Barbara, where I served as an educator, the Director of Practicum, as well as the Interim Chair of the Doctoral Program in Clinical Psychology. Prior to that, I taught Theories of Personality and other courses for a number of years in the Liberal Arts program at Brooks Institute of Photography for photography, photojournalism, and film-making students as well. I am a licensed clinical psychologist (PSY 20964). In addition to my work in education, I have a small psychotherapy practice. My orientation is integrative and I ground myself in a Humanistic-Depth-Transpersonal perspective in my work and life. I am not currently available for seeing anyone new in my private practice, as I am keeping my practice quite small while I attend to my work at Pacifica. However, I know of many gifted psychotherapists in the area and I would be happy to provide you with referrals. If you are interested in contacting me, you may call me at (805) 856-8005 or email me at the encrypted, thus confidential, address of drjrohdebrown@hushmail.com. In addition to, and completely separate from my psychotherapy practice, I am fortunate to have the distinction of being part of the first cohort of certified interspiritual mentors through the Spiritual Paths Foundation http://www.spiritualpaths.org. I also meet with people in this capacity, which is not therapy, but companionship along the path of deepening questions and commitment regarding spiritual practice. An extension of mindfulness practice is the beautiful heart-centered practice of Metta, or Lovingkindness Meditation, and this has had a particularly important impact on my life and on my own process of forgiveness, as has working with imagery, dreams, and sacred ceremony. I believe that our imagination, blended with facing life directly though moment to moment awareness, are our greatest resources for prevention of and/or finding meaning with medical issues, for facing one’s shadow aspects, for deeper psychological and somatic insight, and the kind of developmental complexity that comes about with the individuation process. I am fascinated by the interface between physics, neuroscience, creativity and the arts, energy medicine, spirituality, phenomenology, nature-based practices and consciousness. Alternately, there are times when it is important to focus on external actions that ground our intentions and core values in a tangible way in the world. My approach to psychotherapy is to facilitate a process whereby you may know yourself deeply and relate to yourself and others from a place of curiosity and compassion. This approach to psychotherapy includes somatic experience as well as relationship to spirituality. I like to quote Pinkola-Este’s reference to the “river beneath the river.” Human suffering is explored contextually and collaboratively and both personal and collective archetypal exploration is invited. Diversity is honored. A greater sense of overall coherency, attunement, and emotional regulation are the types of personal and interpersonal gifts that emerge from committing to this kind of work. In regard to participating in endeavors that augment my daily work, I am a founding member and current board member of Tierra Sagrada: Sacred Earth Foundation (www.sacredearthfound.org), which honors the wisdom of indigenous traditions and invites open dialogue and interaction. 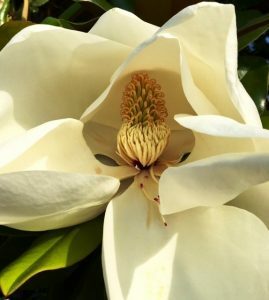 I have been honored to have served in the role of president of Imagery International (www.imageryinternational.com), an organization for those who include the imagination explicitly in their healing and healthcare professions as well. Currently, I am also on the board of The Restorative Justice Resource Center (www.restorativejustice.info). One of the most meaningful endeavors I have been involved in through this organization is volunteering, with founder, Lyra Monroe, to co-facilitate weekend workshops at Corcoran Prison. Lyra has taught inmates about principles and practices of restorative justice and I have assisted in teaching about trauma, mindfulness and imagery, as well as facilitated compassion-based practices with the groups of inmates who have sought out this work after having completing Alternatives to Violence programs. I am currently on the board of the California Psychology Internship Council, an organization that oversees and approves of internship sites for doctoral students in the state of California. Many of these sites are developed for the specific purpose of offering services to marginalized populations. I have spoken about forgiveness and related topics in international and media venues. My book Imagine Forgiveness: A Guide for Creating a Joyful Future is available at www.barnes&noble.com, www.amazon.com, and www.iuniverse.com, and other venues. Guided visualization CDs are available at www.cdbaby.com , www.energimusic.com, www.amazon.com and other sites as well. Energy medicine and energy psychology have inspired me through the years. Meredith Young-Sowers provided training in intuitive healing and energy medicine that I was fortunate to participate in and receive certification from. I am currently engaging in training with Ed Bastian, the founder of Spiritual Paths, for a certificate in Interspiritual Mentoring. In addition, I this past year I have been enjoying additional workshops in ecopsychology (Buzzel), energy psychology (Gruder), Aion–The Collective Works Reading Group (Nelson), among others, and being part of a Non-Linear study group with psychologist and author, Terry Marks-Tarlow, in which we explore complexity and emergent systems, particularly as this relates to psychotherapy, interpersonal neurobiology, and creativity. I have been participating in Sensorimotor Psychotherapy training to augment the somatic work that I do and I have been engaging in some personal learning from Rowan Lommel, who has been trained under T. K. V. Desikachar in yogic traditions as well. I am inspired by the legacy of C.G. Jung and the concepts of the collective unconscious and the transcendent function and how some of his views are paralleling modern physics. I believe our field is changing with more and more recognition of and respect for implicit knowing. I dedicate my work in the world to my brain injured brother, John, as he has been my greatest teacher in life on many levels. In my leisure time, I enjoy walking in nature, singing, reading, writing, watching good films, improvisation groups, engaging in spiritually-oriented endeavors, traveling, contributing to meaningful causes/organizations, connecting people together who may not otherwise meet each other, contemplative photography with my iPhone, and being with loved ones. I also find it quite moving when friends and colleagues ask me to officiate at weddings and memorials. I hope that reading this page has given you an opportunity to get to know me a bit professionally and personally. I look forward to hearing from you and learning more about you should you wish to contact me. I love your website!!!!!! And we look forward to your training. It is so nice to hear from you, John! Thank you for your kind comments! Those were such wonderful days to be able to play all those parts and to sing and such. How nice that you are in the travel business! You probably travel to some exotic and interesting places. I live and work in the Carpinteria area. My sister, Nancy, lives up this way as well and Joe and Mel have a second home in Ojai. Joe is, of course, traveling around quite a bit still with Disney. Hope to see you one of these days. drjrohdebrown@gmail.com (805) 856-8005. Dr. Juliet Rohde-Brown, My name is Nicholas Otieno Odongo, I am from Nairobi, Kenya, I have applied to come to Pacifica Graduate Institute. Alex has scheduled an interview with you this coming Tuesday. I look forward to talking to you and gaining deeper insight into the program at Pacifica. And I really enjoyed reading more about you and the in-depth journey you have traveled. You are a real inspiration. Thanks. Thank you, Nicholas! I am waiting for your call now at my Pacifica office at (805) 679-6139. I look forward to speaking with you! I have looked at your materials and your work in the world has been very impressive.